Next week the long-awaited superhero movie, “Avengers Endgame” will be out in theaters. Those who are fans are counting down the days — their long wait is over! I think God has created each of us with a sense of excitement toward big events. We love countdowns and long-awaited reveals. In just a matter of a few months, we’ll be wrapping up our full campus expansion and renovation - the NEXT Project. We’ve been at this a long while. This project actually began three years ago behind the scenes with a lot of prayer, faith and love. Many of you have been involved in praying faithfully and giving generously. I want to thank you and let you know that it is all worth it! I believe our best days are still ahead of us. That from this spiritual journey we’ve taken together, we’ll launch into a new day. I’m asking you to pray with me that Easter will be the beginning of a year filled with miracles and changed lives. We recognize that the gravitational pull for churches tends to be toward insiders. We are committed to focusing on people we are trying to reach (outsiders). We believe church should be the safest place on earth for people to ask questions and talk about anything. We think Jesus was irresistible and, therefore, his Church should be as well. So, we are committed to creating irresistible environments that serve as steps to community. Each week, we strive to create relevant weekend services that make people want to come back and take next steps. To us, relevance is an engaging presentation with helpful content given in an appealing context. We believe life change happens best in the context of intentional relationships, and small groups provide a healthy on­ramp for intentional relationships to form. That’s why we believe circles are better than rows. We want this generation of young people to be the next generation of church leaders, so we continue to invest heavily in them. We believe that the church, as the body of Christ, carries the message of hope to the world. Easter, Christmas, and Last Blast. Those are three big events we have here at Fellowship and it seems like, for all of the years that I’ve been attending them (even at other churches) I don’t have even a few memories of them. This was happening even before I started working at Fellowship a few years ago, and I’m willing to bet that most of you are in a similar situation. I love the holidays…so why can’t I remember them? If you don’t know me, then let me say “Hi! it’s nice to meet you. My name is Ben and I’m the media director here at Fellowship”. I’ve said that line so many times every holiday to new people that sometimes it just rolls off the tongue without me even knowing it. Part of my job is the technological aspect of our productions, as well as the graphics and (most) of the videos that go up and around our social media sites. I also work another job and like to keep a social life as well as time with the family. I’m busy…to say the least, but so is everyone else it seems. If it’s alright, I’d like to take this moment to do a small exercise with you. Inhale with me through your mouth for five seconds. Exhale through your nose for five seconds. Read this next poem written by David, and take a moment to meditate on it. …you just did is specifically built to deactivate our fight-or-flight instinct that we can find ourselves in. Some of us live in this nature. I know I did. Especially around Easter. …always very tense for me. It wasn’t until I really started to look at myself years ago and wonder why I was so stressed to begin with, that I began to understand that it all had to do with the sinking feeling that I was losing track of time. That these parts of my life that were supposed to be fun and enjoyable but often left me feeling like they were gone in a flash and I didn’t get to even enjoy them. Holidays and special occasions have a knack for pushing us mentally, emotionally, and sometimes physically to the extreme. And then, somehow, after all that work, when we try to remember the events it’s as if they had been Men in Black style MIND WIPED from us. If Christmas is such a special day to me, why is it that I hardly remember it?!? To answer this, I’d like you to hit the play button below. I have recently gotten into a great podcast about time management and, very recently, one of the main subjects was “Why Time Fly’s?”. Go ahead and hit that button, it’s about 4 minutes long I promise. I’ll wait. Like Laura said, our memories and our perception of time are inherently linked. 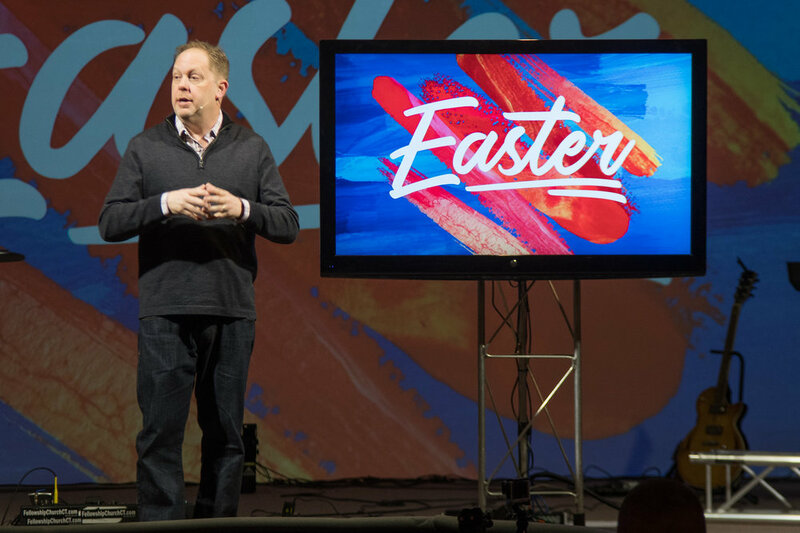 It was because of this Idea that I realized that if I wanted to enjoy Easter more, if I wanted to Remember Easter more, I would have to take a few moments every now and again to breathe. God wants us to do this, he wants us to enjoy spending time with family and going all out on fun Easter traditions. God has made beauty in this world, and the cruel nature of sin constantly seeks to pervert it. Dramatic, I know, but it seems to happen over and over again. Everything in this world, every source of stress, every source of love, every moment of joy, every moment of apathy, every hug, and every slap, is fleeting, but what we imprint on our hearts and on our souls lasts for much longer. It is because of this rationale that I strive to remember the things that are beautiful, meaningful, and important to me. It is because of the memories I have to make that I slow down and breathe. Next, I’d like you guys to play this song that I have below. And to pray the lines under it with me. And to pray them slowly, and meaningfully. God wants to have conversations with us, so be silent after each sentence and give yourself the opportunity to reflect. Thank you for setting up the sun and the stars from the beginning of time with the specific intent of me seeing them. God, thank you for making me complex and dynamic, and for giving me the capacity to notice and remember the things around me. I make a conscious effort to enjoy what is in my life. To notice what exactly you sent your son to us for. God, I pray that while I know that I can’t let go of some of these responsibilities in my life, that I recognize, constantly, that I was designed as an individual with a self-contained incredible beauty that was fashioned and stitched together to be in the image of you and a gift for me. Help me see it around me. God help me notice the incredible plans you have for me and the incredible world you have shown me. letting me remember these things. God, thank you for designing me beautifully. Thank you for giving me that part of you God. If the song is still playing, just let it play out. just…let it play out…and breathe. the podcast is Called the “Before Breakfast Podcast”. Click here to check out this amazing podcast. Music used in this Post is from the incredible artist Reeder. Check him out sound cloud and support him if you like his work like I do. Here’s his Sound cloud. I myself am one of them. But what about the generation coming right behind them? Gen Z, born between 1999 and 2015. Some of you reading this right now are parents or grandparents of a Gen Z teenager. As an adult in my mid 20’s, I’ve had this preconceived notion that my generation wasn’t much different from Gen Z. I tended to think “how much could change in an 8-12 year age gap.” But what I’m starting to realize as a Student Pastor is that what worked for me as a teenager, as far as fostering faith, will not necessarily work for today’s youth. I recently read a Barna study on the correlation between Gen Z and faith and found it very compelling. and more likely to embrace different views on sexual identity. Gen Z was born in a context where religion in general, and Christianity in particular, is no longer a major influence in American culture. In fact, according to the Barna study, teens 13 to 18 are twice as likely as adults to say they are atheist. In addition, Gen Z’ers seem to have a flexible moral compass that leads them to un-clear paths and prevents them from making decisions or judgements according to solid values and convictions. Throw the influence of social media into all of this and we have an interesting concoction. Technology can help us socialize with people far away but it can also drive us to be less social. Recent studies are exploring the relationship between social media and isolation, and how it can even lead to depression. Teens face a tension to portray themselves as happy, beautiful and successful. In other words, to pretend to be somebody else. This can be damaging for a teenager especially in a time where they are discovering their identity. …most Gen Z’ers in the Barna study indicated that their ultimate goal in life was “to be happy”, and they defined happiness as financial success. Personal achievement is central to Gen Z’s identity more than family, background, and religion. These findings are not surprising and they seem to reflect the materialistic and individualistic outlook of life that permeates American culture. Christianity is “counter-culture” because it's communal and not individualistic. Satisfaction and joy is not found in pursuing happiness, possessions, and success, but in a relationship with Jesus and the God who created us. How do I achieve satisfaction? Today’s youth are struggling to answer these questions more than any other generation and are searching for answers in the wrong places. The beautiful thing about the gospel is that it resolves these struggles. Jesus made the claim that he is “the way, the truth, and the life” (John 14:6). Easter reminds us and reassures this claim with his resurrection. If Jesus is who he says he is, there is always hope. He is truth. He is the source of what is good. He is the way. He is the source of morals. He is our satisfaction and joy. Our identity is found in him. Every Easter I am reminded of this reality and it motivates me to teach and lead teenagers into that reality by any means necessary. It also drives me to live out my faith more authentically and transparently. The truth is, in many instances, young people do not reject Christ, they reject a sociological and political interpretation of Christianity that they see in their parents and adults around them that doesn’t necessarily reflect biblical values. In other words, they reject hypocrisy and value realness. A post-Christian culture forces you and I to be completely committed followers of Christ. Not just a “Christian” on paper, but a genuine follower where there is clear evidence displayed of the hope we have in Jesus. The resurrection of Jesus changes everything. What convicts me is that if I really believe in that, it should change everything about me. What I find intriguing is that most of the disciples of Jesus were believed to be under the age of 18 when they began to follow him. The resurrection changed everything for and about them and they ended up changing the world. I believe any teenager of today who is fully devoted to Christ can do the same. Teenagers are longing for purpose and to make a difference. They long to make a change. Jesus can empower them to do just that. Would you pray with me today for the Gen Z’ers in our community and church. Pray for parents and grandparents of faith who are raising teenagers. Pray for those who lead and volunteer in Fellowship’s youth ministries. If you want to pray specifically for today’s youth, check out this article “10 BIG Prayers I’m Praying Over Generation Z” .